Jeff doesn’t hesitate to answer this with a question: “Well, what do you want your ad to do?” And this often stops agents in their tracks. Because many real estate agents think of digital ads as nothing more than digital business cards: just put your headshot, your name, your phone number and years in business. That’s enough, isn’t it? Nope. The purpose and strategy of the ad is a question to ask before even creating it. Do you want buyers? Do you want sellers? Do you want referrals? Speak to the people you want to meet. Speak to the conversations you want to have, and speak in your own voice. Tell them what you want them to do! Today’s CTAs need to be more creative than ‘what’s your home worth?” Make it specific. Make it creative. Now arriving at our destination: the landing page. Once you’ve created a digital ad that is compelling and has a strong call to action, where will they go next? Many agents drop the ball at this critical step. Once someone clicks on your ad, they need to go to page that delivers on the promise you made. That delivery is on a landing page, which is a web page that speaks to a specific purpose. It’s not a Home page. It’s not an About page. It’s streamlined and use-specific. Jeff knows that creating the right kind of landing page is a challenge for most agents — they aren’t web designers. They’re trying to help people buy and sell homes! That is what inspired his endeavor Visual Farming. So let’s go back to the beginning, with the ad that ‘didn’t work.’ Once you set expectations, create a strong call to action and deliver with a powerful landing page, digital advertising can truly be the powerful tool it’s meant to be. 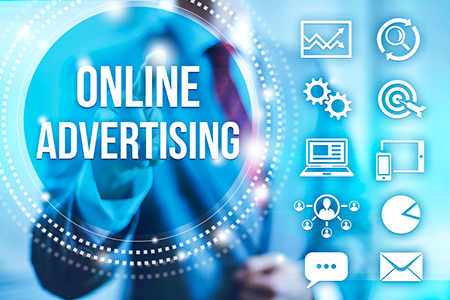 And to learn more about creating digital ads for your real estate brand, visit adwerx.com.